People who love doing things outdoors can have a lot of fun with their pets. We’ve taken our dogs with us on a variety of different outdoor excursions and found a lot of games and activities that the dogs liked doing as much as we did. It’s the perfect opportunity to bond with a pet and get some great exercise in the process. 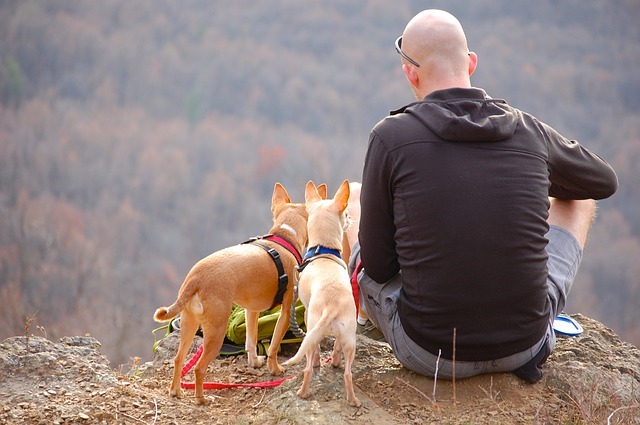 Here are 5 outdoor activities that you can enjoy with your dog. Camping is a great family activity and with a little pre-planning it can be something that your dog will also enjoy. Of course you’ll need to make sure that you have a tent with a lot of space so everyone including the dog can get in out of the elements when it’s time to go to sleep for the night. Camping trips get everyone including the dog out of the house and into the fresh air. There are new sights, sounds and scents and it can become a memorable experience for all involved. Just be sure to check on the regulations regarding pets in the areas that you’re planning to go. Take along a leash and food and water bowls and the appropriate waste bags so you can clean up after your pet and leave the rounds as fresh as you found them when you leave. Dogs love to play fetch with a frisbee or other type of throwing disc when you’re outside. This is a great way to help your pet get his exercise for the day and it’s also a lot of fun. You’ll even discover that you will get a healthy dose of exercise as well because it takes an effort to throw the disc in the air. It’s also fun to see your pet learn some great moves as their catching skills improve. If you like to go hiking, consider taking your dog along with you the next time. Before you plan your next hiking adventure, check to make sure that dogs are allowed on the trails that you’re planning to hike. Make sure that you have a sturdy leash so your dog doesn’t get lost chasing after wildlife that you may come across. 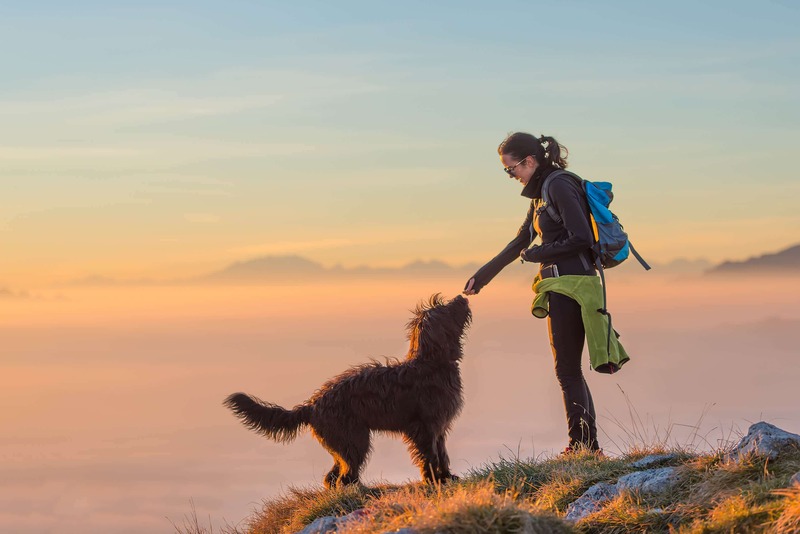 If you’re usually a solo hiker you might be surprised at how much company a dog can provide when you’re out on the trails. The beach is an ideal place for an outing with you and your dog. You can both enjoy running along the sand and cool off in the water or enjoy playing games in the water when the sun is hot outside. Keep in mind that dogs are just as sensitive to overheating as people are and if it’s hot outside, make sure that you bring along a sunshade with room enough for both of you to take a break from the bright rays of the sun. Also bring along water so your pet can stay hydrated. There will probably be other dogs when you go to a dog friendly beach, so a leash is also necessary but there are usually areas where you can let your dog go for a nice long run to work off any extra energy from their excitement of being out and feeling free. There are more and more dog parks being built throughout the United States. These are parks that are designated as dog friendly. Although leashes are required and there are going to be a lot of different dogs there, it’s setup to be a place where you can bond with your dog and meet other pet owners who are there to give their beloved pets a play day. This is a great social experience for dogs as well as humans. If you’re not familiar with any dog parks in your area, all you need to do is get online to find the park that is closest to you. If there are not any designated dog parks, you can also find a municipal park that allows dogs but you will need to have your pet on a leash and be prepared to clean up any messes that your dog leaves behind. If you’re not fond of the idea of taking your dog to a local park, you can also take your pet for a walk around the block for some bonding time and a bit of exercise for both of you.